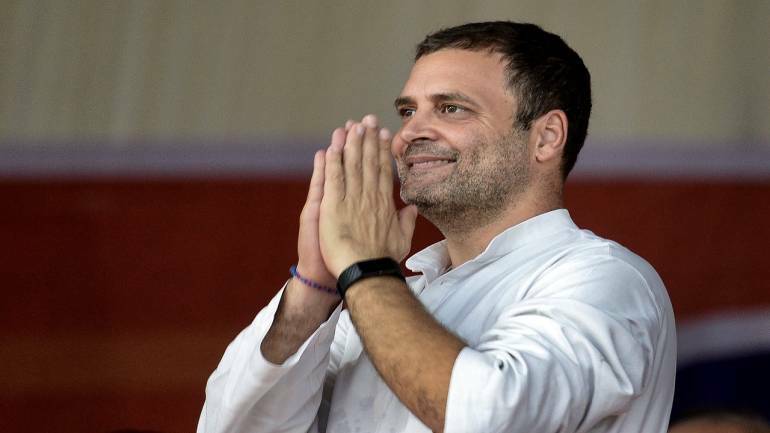 Kartikey Chouhan, son of Madhya Pradesh Chief Minister Shivraj Singh Chouhan, on today filed a criminal defamation case against Congress President Rahul Gandhi for alleging that his name figured in the Panama Papers. Gandhi, meanwhile, said he mentioned the name of Chouhan’s son in the context of Panama Papers due to “confusion”. Gandhi, while addressing a rally in Jhabua district of the poll-bound Madhya Pradesh Monday, had said that the name of the son of ‘mamaji’, a chief minister, had figured in the Panama Papers but no action was taken against him. Though Gandhi had not specifically identified the CM, he was referring to Chouhan who is popularly known as ‘mamaji’. The court posted the matter for November 3 when Kartikey Chouhan’s statement will be recorded. “The statement of Rahul is intended to defame Chouhan and his family. When they (the Congress) failed to make a dent in the popularity of the chief minister, they are levelling allegations against his family and children. It was the clear intention. It was a well-planned statement,” his counsel Shrivastava said. “For campaigning I am touring Madhya Pradesh, Chhattisgarh and Rajasthan these days. The ruling BJP has indulged in so many scams and corruption that yesterday (Monday) I got confused. In Panama Paper Leak case, Madhya Pradesh chief minister has no role, he said when asked about his controversial remarks made in Jabhua on Monday. However, he reiterated his allegation that Chouhan has a “role” in scams like Vyapam and e-tendering among others. Gandhi had said on Monday, “Udhar Chowkidar, Idhar Mamaji. Mamaji ke jo bte hai, Panama Papers me unka naam nikalta hai. (On one side, you have the watchman, on the other side you have ‘mamaji’. The name of the son of ‘mamaji’ figured in Panama Papers). “Nawaz Sharif Pakistan ke Prime Minister ka naam nikalta hai..Pakistan jaise desh me unko jail me daal dete hai. Magar Yahan ke chief minister ka beta, uska naam Panama Papers me nikalta hai to koi karyawai nahi hoti (The name of former Pakistan PM Nawaz Sharif appears in Panama Papers. “In a country like Pakistan, he is jailed. Here, the name of the son of a CM figures in Panama Papers but no action is taken),” Gandhi had said at the rally.